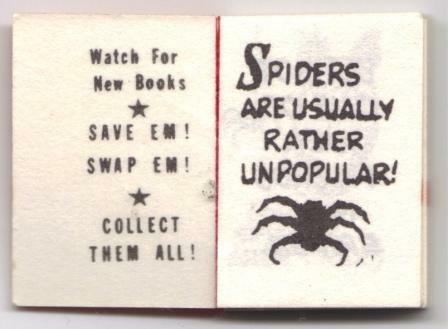 These mini books appeared circa 1966. 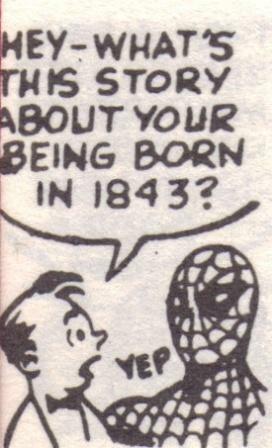 Despite 52 pages as each page was only 1″ tall there wasn’t room for much more than the odd word and thumbnail sketch (although this one does manage to include Spiderman’s whole origin story concentrated into a few pictures !!). 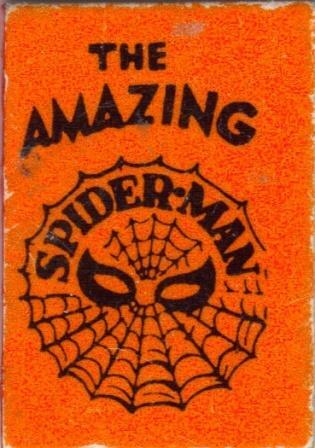 I believe I got mine out of one of those bubblegum dispenser machines with those plastic egg shaped containers which usually produced the bonus of a rubbish plastic “toy” or even a Marvel mini book !! I know there were also Sgt Fury, Hulk and Thor Mini Books. Although I never had one there was possibly a Captain America Mini book too. 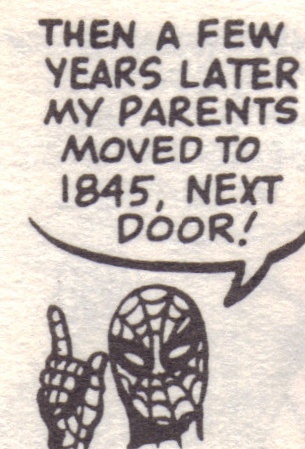 If your life isn’t complete without one The Amazing Spiderman Marvel Mini Book is right here (as a .cbz file).